The Queen of Apostles School is the major way in which we as a Parish Community try to fulfill the promise we made through the Godparent(s) at a child’s baptism. The Parents of the child promised to bring he/she up in the “practice of the faith” and the Godparents promised to help the parent(s) in their duty as Christian Parents. Our school opened in 1962 and was originally staffed by the Sisters of the Holy Family of Nazareth. 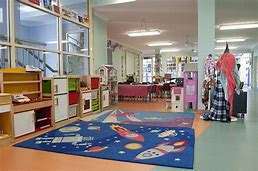 The school has two campuses with children in Preparatory Year, Year one and Year two attending at the Early Years Campus at 46 Chuter Street and the children in Year Three to Year Six at the Thuruna Street Campus. The current Enrolment is over 500 children. Applications for enrolment can be submitted at the office at Thuruna Street. An application form can be obtained by phoning the school secretary, (Ph: 3352 9200) or downloaded from the school website at http://www.qofa.qld.edu.au . The school website contains information relevant for anyone wishing to find out more about the school. Queen of Apostles Outside School Hours Care is a service offered by the Parish to support parents who need this service. It is offers before and after school care during school terms. It also offers a vacation care program during school holidays. Bookings are essential.